Optical flats are precision polished glass substrates that are used as a reference against which the flatness of a test surface may be compared. Optical flats can also be used for demanding interferometry requirements as very flat optical windows. Industrial Optics manufactures both single and double sided optical flats ranging in size from ¼” to 12”. Surface flatness of 1/4 wave, 1/10 wave, and 1/20 wave can easily be attained and certified up to a 4” diameter on a Zygo Interferometer. Optical flats can be made of low expansion borosilicate glass, Fused Silica or Zerodur to meet your exact requirement. Optical Flats can be provided uncoated or coated per your request. 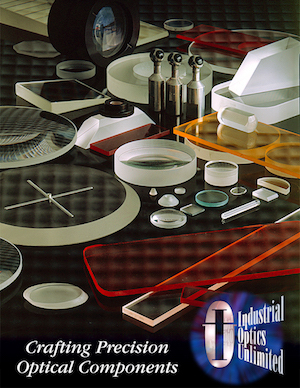 Industrial Optics can support your custom optical flat requirements at a competitive savings to standard catalog pricing while providing great quality and exceptional customer service.